We focus on putting you first. Our expert faculty are dedicated to helping you realize your potential, and a supportive campus community creates the perfect environment to jump in without getting in over your head. Whether you are a student in Flagstaff, at any of our statewide campuses, or online, we will ensure you have everything you need to shape your future. Learn how to apply for undergraduate programs at our Flagstaff Mountain campus, online, or at our statewide locations. View admission requirements and application information for master’s and doctoral programs. 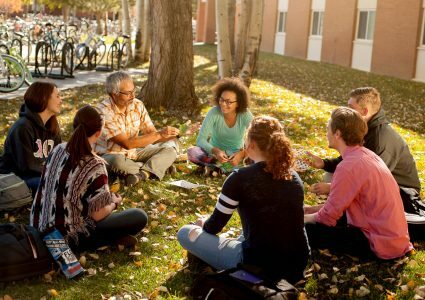 Join thousands of students from across the nation and around the world to live and learn on the Flagstaff Mountain campus. NAU’s study abroad department and Interdisciplinary Global Programs received the 2017 Andrew Heiskell Award for Innovation in International Education.